Science and Sustainability (S&S) is a full-year, integrated high school science course with a strong emphasis on hands-on investigations. The program is presented in four thematic units and includes an array of concepts and topics including physics, chemistry, biology and earth science. 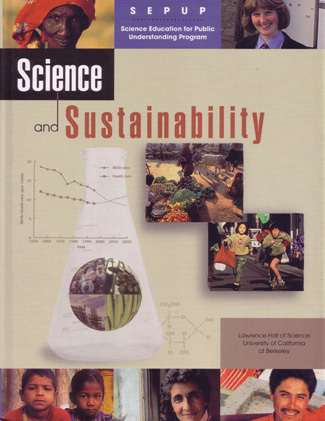 Each unit presents basic science content involving local and global issues related to sustainability. The complete program includes 32 hardcover student books, 16 Material World books, a Teacher’s Guide and a complete materials package. Science and Sustainability is intended for use in heterogeneously grouped classes, with many lab experiences designed to challenge higher-performing students.